Aluminium bi-fold doors are one of the best home improvements for making the most of your home. You can enjoy your property in new ways with these impressive double glazed doors. They are stylish, sleek, and high performance, and here at Sternfenster, they are manufactured to the highest standards too. Many homeowners throughout the UK are opting for these sliding doors, simply because they extend your property into your outside space. They really do open up your home to your garden. When closed, you benefit from beautiful views through a spectacular wall of glass, however, where they really come into their own, is when you open them up. These doors create a seamless link to the outside, letting you experience one vast living space. Warm days will never be the same again, with easy access to your garden or patio. 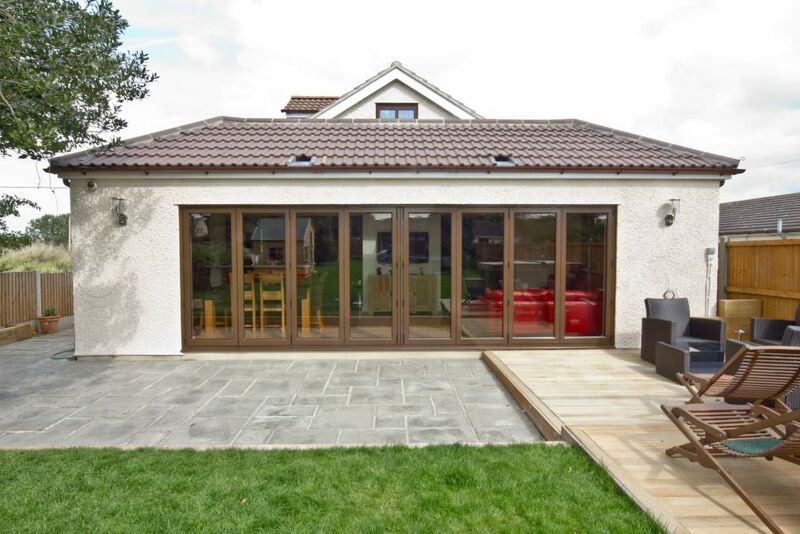 Aluminium bi-fold doors are the perfect choice for sociable families, enabling you to have barbeques and garden parties in style. One of the many benefits of choosing a Sternfenster approved double glazing installer for your new aluminium bi-fold doors is that these tradesmen are expertly trained and are experienced in fitting sliding doors. They meet our quality standards, so that the performance of your new doors are perfectly installed and will offer exceptional long term operation. When it comes to our products, our aluminium bi-fold doors are manufactured using the state of the art Visofold system from Smarts Architectural Aluminium. These sliding doors simply excel in all areas, ensuring that your home is efficient and secure. They are uniquely designed to enhance your property and your lifestyle. The beauty of aluminium bi-fold doors lies in the versatility of the aluminium material. 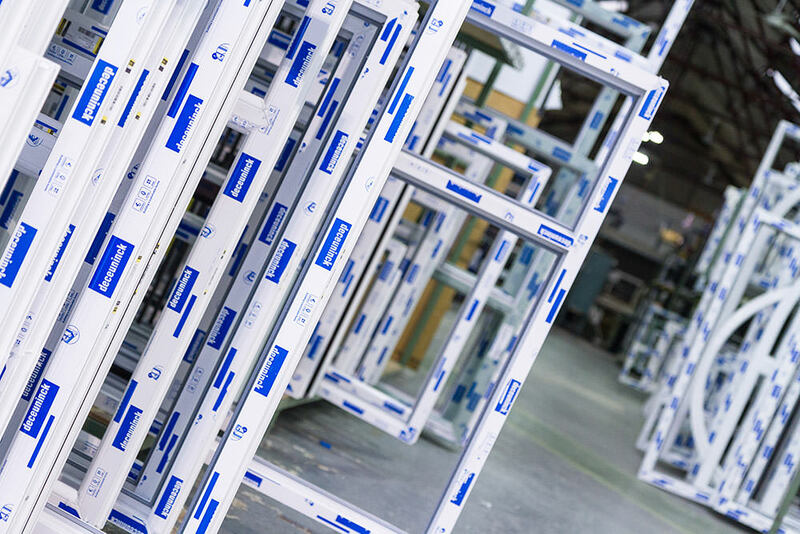 This naturally strong and robust metal is ideal for double glazing as it can carry more weight, enabling you to enjoy super slim profiles, and as such, extended views. Our aluminium bi-fold doors are exquisite, transforming your home in every way. You have so many choices available to you so that they are the perfect match for your property, enhancing its style and its character. These stunning doors come in a range of configurations, allowing you to choose a functional design that meets your requirements for a practical entrance. They are also available in a range of widths, allowing you to choose the exact fit for the space that you have. Select the ideal number of panels to meet your needs too, creating the very best combination for your property. Our aluminium bi-fold doors can be customised in a wealth of colour finishes, enabling you to reflect your personality through colour, or complement the architecture of your property with elegance. If you choose double glazing, we even offer a range of integral blinds for true luxurious beauty. Aluminium bi-fold doors from Sternfenster are precision engineered to offer protection against UK weather. They feature high quality EDPM rubber gaskets and weather brushes to enable superb weather proofing, protecting your home from the elements. These spectacular doors will keep your home dry and draught free throughout torrential rain and gale force winds, so no matter how harsh the winter storms are this year, you will be warm and comfortable indoors with these sliding doors. Our aluminium bi-fold uphold impressive standards of durability, meaning they will not warp or discolour and the finish won’t blister or peel. This ensures that you can enjoy long term performance from your new doors. It’s not only the sun and the storms that our aluminium bi-fold doors protect your from, they are also fantastically energy efficient too. The Smarts profile has a polyamide thermal break which works to minimise cold transfer. This is coupled with high quality double glazing, designed to trap the warmth of the sun and to keep your heating within your home for ultimate thermal performance. Our aluminium bi-fold doors will enhance the thermal performance of your home, especially when compared to dated patio doors. You will benefit from needing to use less heating on cold days, as warmth is retained to brilliantly, and as such, your energy costs will be reduced. Of course, thermal performance is not only important for your household bills, it’s also vital to the environment. With more energy efficiency in your home, your carbon footprint will be lowered. This is fantastically eco-friendly, ideal for modern conscientious homeowners. You could even find that with these sliding doors, the EPC rating of your property is enhanced. This will make your home far more appealing to potential buyers, should you ever wish to sell. 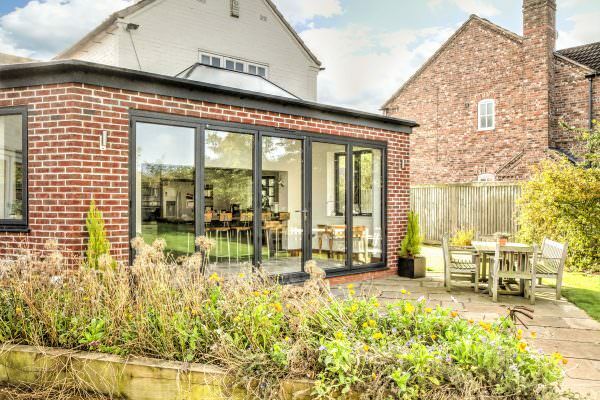 All in all, aluminium bi-fold doors are a great investment in your property, enhancing it in so many ways. Wherever you are in the UK, security is a central function of any entrance into your property. It is vital that you and your family are protected from unwanted visitors, not only for your peace of mind, but also for insurance purposes too. With these sliding doors, you benefit from so many features. Starting with the material, as we discussed earlier, aluminium is inherently strong, and in fact, it is almost indestructible. This makes aluminium ideal for double glazing, as it starts out by offering superb security. You can choose to have your new aluminium bi-fold doors internally beaded for additional protection, removing the opportunity for glass to be removed from the outside. When it comes to the locking systems, however, this is where Sternfenster becomes the superior choice as a UK aluminium bi-fold doors manufacturer! 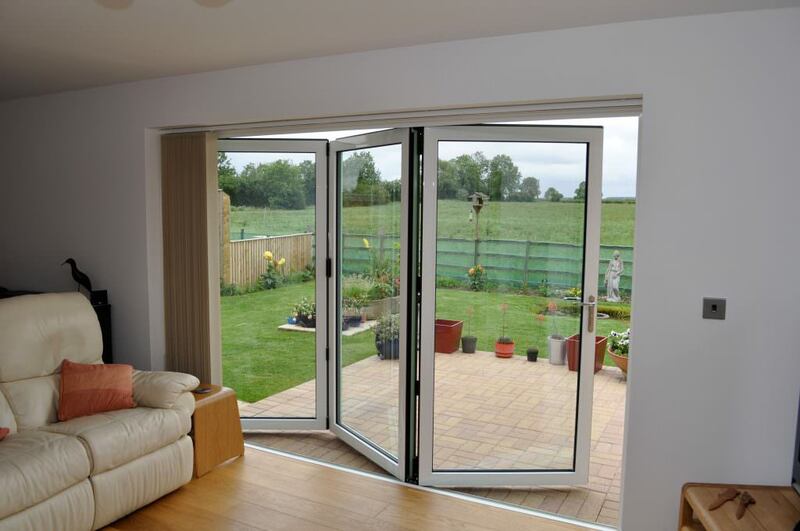 Our aluminium bi-fold doors are fitted with high security hook bolt locks and one piece keeps on main opening sashes. This is supported by shootbolt locking mechanisms on the floating mullions. 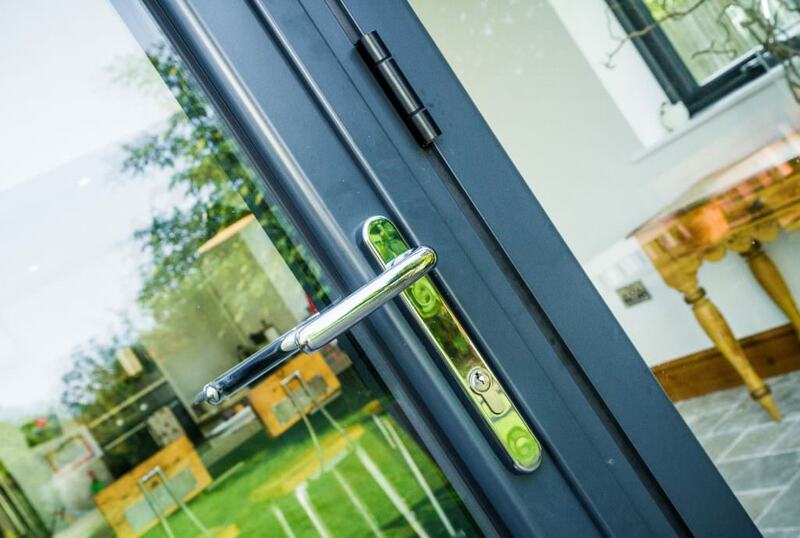 These doors are completely outstanding when it comes to security, helping you to have complete confidence that even the most determined potential intruders will be unable to break in. Our aluminium bi-fold doors are the perfect choice for accessibility in the UK. Starting with the opening system, the stainless steel rollers are of the highest quality, giving you smooth and effortless operation. This makes it so simple for anyone to open these doors should they need to. 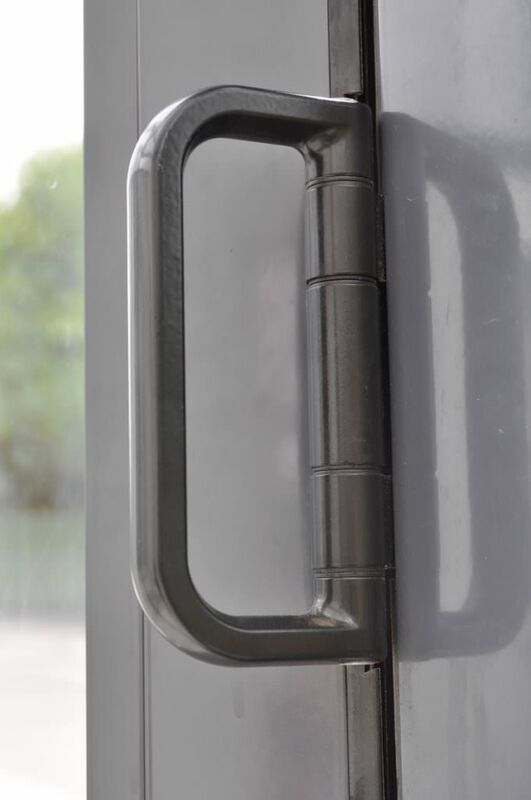 For additional safety, you can opt for magnetic door clips to secure open door sashes. This will stop them from slamming shut, keeping your family safe from harm. When it comes to physically accessing the outdoors, for many people, this can be a challenge. However, our aluminium bi-fold doors come with a range of threshold options, including an ultra low version. This 15mm low threshold can be fitted with ramps, creating a seamless entry for wheelchair users, people with mobility difficulties and young families. This practical option is even Part M compliant under Building Regulations. Of course, with such high performance double glazed doors, as you would hope, our range of bi-folding doors are perfect for commercial properties as well as domestic homes. Many of our tradesmen install these spectacular doors into shops, offices and commercial buildings throughout the UK. They are fantastically high quality, ensuring that they can meet the exact standards required in any commercial application. 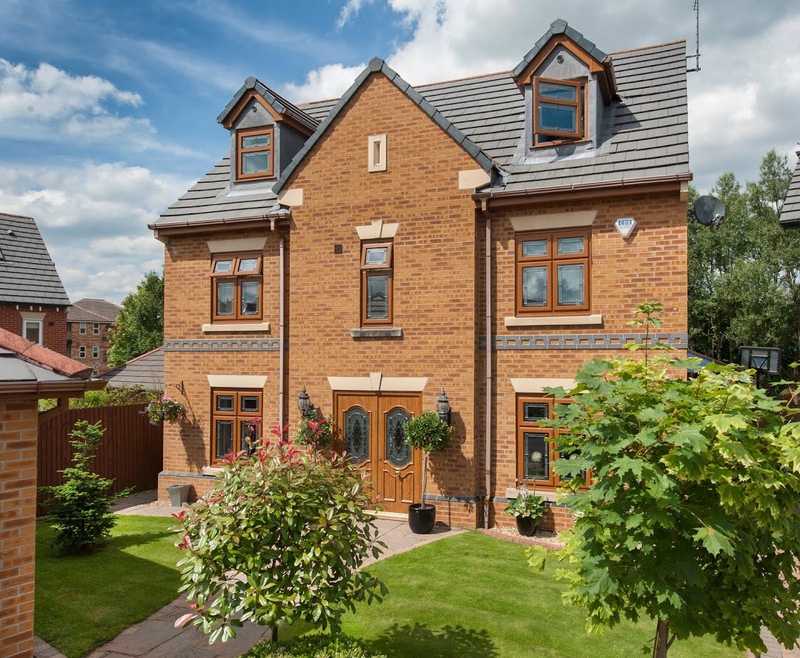 Modern homeowners across the UK lead very busy lives, and costly and time-consuming maintenance of double glazing is so off-putting when choosing your home improvements. Aluminium bi-fold doors from Sternfenster are superb, offering many years of exceptional operation, with little effort required. These doors are designed to last year after year with only an occasional cleaning routine needed to ensure optimum operation and beauty. Gone are the days of oiling, sanding, painting and varnishing, our aluminium bi-fold doors are engineered and manufactured to be easy to use, long lasting and low maintenance, making your spare time free from hard work! Sternfenster manufactures our aluminium bi-fold doors to the exact specifications supplied by your double glazing installer, which is why it is so important to choose an expert for your home improvements. We check and vet our tradesmen to ensure the quality of their work, their commitment to customer service and their expertise. This is because we are so proud of our incredible bi-folding doors, we want them to be installed to the highest standards. Accessing a double glazing installer in the UK that is close to you couldn’t be easier. We have an online postcode checker where you can enter your details and our system will provide you with a selection of Sternfenster approved tradesmen in your area. It really is so easy to find a great double glazing installer in the UK! If you are looking for supply only aluminium bi-fold doors, then please get in touch and our friendly team will be happy to help.